LED Bulbs are achieving increasing market share with their high-efficiency, low power equipment! 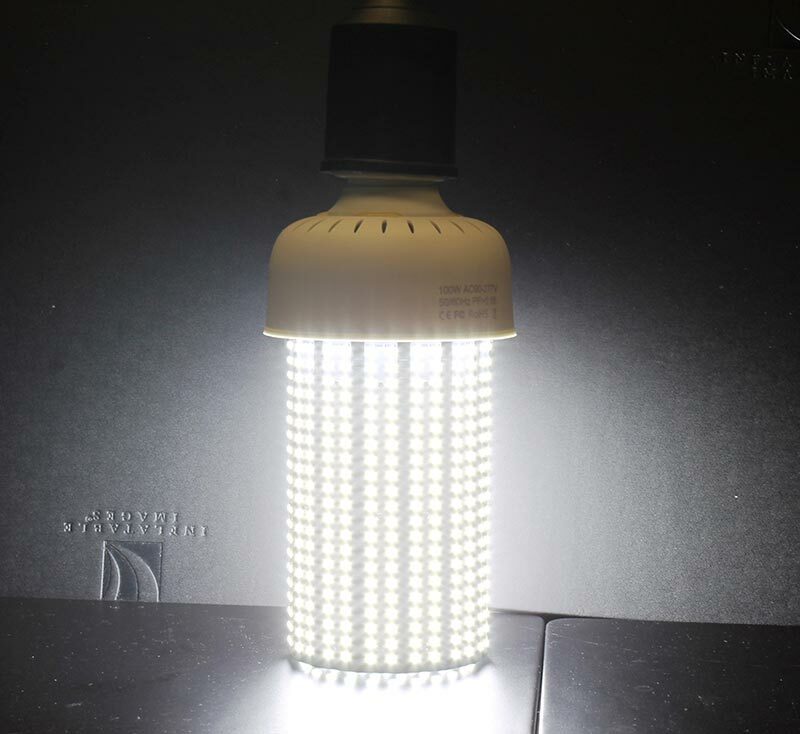 They are a true replacement for general lighting application. 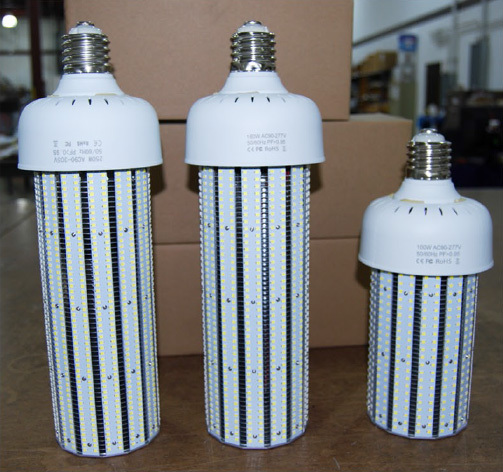 Compared to Incandescent and Metal Halide our LED Corn Lights use up to 80% less energy than standard lighting applications. Lasts 15,000-20,000 hours. Lasts 50,000 hours or longer. Contains Argon, Mercury Vapor, Tungsten, Barium, Strontium, and Calcium Oxides Contains material doped with impurities to create p-n junction, free of mercury. Energy efficiency is less than LED bulbs. Energy efficiency is more than Metal Halide. Takes time to warm up to full capacity. Instantly goes to full capacity. May not work in -10° F or 120° F. No temperature sensitivity. Switching on and off can reduce lifespan. No effect when switching on and off. As bulbs age the voltage increases. Voltage doesn’t increase with age. Will cost you more money for electricity and for maintenance. Saves you money and maintenance.